Although a lot of people still regard WordPress as a blogging platform, the truth is that it’s now used by businesses all over the world to create a vast variety of different sites. WordPress isn’t only the most widely-used and popular content management system in the world, it’s also one of the best ways to start setting up your online shop, and getting involved with the world of eCommerce. Thanks to the simplicity of WordPress, almost any online business can set up their website in a couple of minutes, and begin to customise their online presence with the help of web developers and designers. When it comes to making the eCommerce aspects of your site function as smoothly as possible, it’s important to make sure that you have the right tools available. From excellent web hosting services to the best plugins, the smallest things can help. In this post, we’ll be looking at ten of the best WordPress eCommerce plugins, and how you can use them to upgrade your online shop. WooCommerce is easily the most popular solution for businesses who want to create a shop on their WordPress website platform. As one of the most widely-used eCommerce plugins on WordPress, there are tons of themes to choose from, and various tools that you can use to create a fully-functional and fully-featured store in no time. The powerful WooCommerce plugin makes it easier for businesses to access inventory management solutions, as well as customer profiles, order management solutions, shipping, and statistics. You can also manage coupons with WooCommerce too! IThemes Exchange is a simple and effective eCommerce plugin for WordPress, that allows you to get started with selling almost immediately. All you need to do is install the plugin, activate it, and choose the payment methods you want to offer your customers. The system uses built-in user management systems to manage transactions securely. It also comes with a range of add-ons that can be used to deliver more features to your online store. Jigoshop is yet another out-of-the-box plug and play solution for getting started with an eCommerce store. It will provide you with all the options you need to create a completely active and professional eCommerce website. With Jigoshop, you can upload all of your products into a management portfolio easily, and take payments with many of the most popular online wallets including Skrill and PayPal. If you’re looking to take your online business a step further, there are also a range of premium extensions available from Jigoshop too. As you might be able to guess from the name of this plugin, Easy Digital Downloads is an eCommerce plugin that’s aimed at supporting digital download products and services. The idea behind the plugin is to make sure that WordPress users have everything they need to sell digital downloads, without confusing them through extra services and add-ons. Amazon, test payments, and PayPal are all supported by Easy Digital Downloads as standard, and there is also a range of premium extensions to choose from when you want to enhance your store even more. What’s more, Easy Digital Downloads is totally free, with no transaction fees to worry about. The PayPal Shopping cart is an easy eCommerce plugin that allows web developers and website owners to place “Add to Cart” buttons branded with the PayPal logo anywhere on your website. Payments can then be handled by PayPal through debit or credit card transactions. Although this plugin download is free, it’s worth noting that transaction fees to apply. You can also get a “pro” offering that allows for basic customisation of the buttons, and a few options for setting discounts. 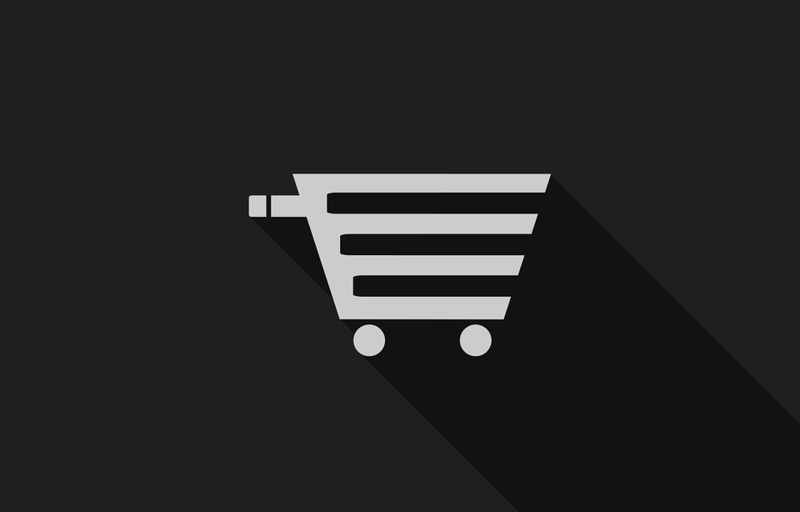 Cart66 is one of the most secure WordPress eCommerce plugins on the market. It ensures that stores are PCI compliant, and supports both physical and digital products – allowing customers to create accounts when they buy items. Cart66 also offers a recurring billing engine and allows companies to implement discounts and taxes at checkout. WP eCommerce is one of the simplest, but most comprehensive eCommerce plugin solutions for WordPress websites. Using this plugin, you can create business sites of different shapes and sizes, and sell a range of physical products, digital products, services, and more. You can even customise your plugin as per requirements with HTML and CSS. Although this won’t be an essential plugin for every business, being able to place your product on sale for a limited amount of time can be a great way to increase conversions. This eCommerce plugin delivers a simple countdown option that can be added to your online shop. It also gives you numerous options to show product countdowns and attract more customers. The Selz eCommerce cart is perfectly suited to the non-coders in the world, integrating with almost every WordPress theme on the market. It’s a robust, and fully-featured shopping cart solution designed for the sale of services, physical products, digital downloads, and more. The plugin provides a range of secure download links for all the items sold in your store. Additionally, you can change your store functionality according to your needs with a range of free and premium apps. Finally, WP EasyCart is another free and simple option allowing you to add full WordPress solutions to your Shopping Cart in minutes! You can use the WP EasyCart plugin to sell digital downloads, retail products, and more with ease. The best part about this plugin is that it’s simple, and works perfectly with almost any WordPress theme. Oh, and it’s free too! Since choosing the wrong WordPress eCommerce plugin could be enough to lose you the trust and attention of your target audience, finding the right tools for your needs can be a daunting process. Fortunately, the ten eCommerce solutions listed above provide all the basic features you need to get your online store up and running successfully! Check them out, and choose the one that appeals most to you.